I'm scheduled to deliver a talk about "From Student to E-Commerce Entrepreneur" this Tuesday to students of AIE College. Also, on June 16 about "Blogging for Money. 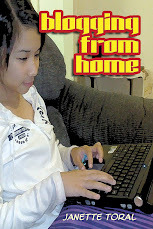 Blogging from Home" during the Iloilo IT Week. The idea is to impress on students that if they are willing and hardworking enough, they do can earn money online even while studying. 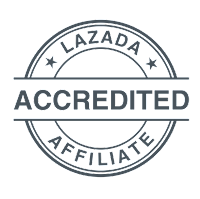 That is indeed true as there are many programs today where they can participate that provides both monetary and non-monetary value. Having a presence on the Internet is the minimum that one must have. With a Credit Card, you can use that as a start-up capital to purchase a domain name, web hosting account, among others. If you are hardworking, that investment can immediately pay off even before your billing statement arrives. Open a bank account and get those Student Credit Cards. There are many types but the one we got is a debit card in functionality but can be used to transact online. I noticed that some also refers to the debit card as one of those Secured Credit Cards. As she does a lot of freebie graphic design work to her online gaming design friends, she found herself receiving donations and even small projects in less than a week after she created it. So if properly used and guided well, a student can really jumpstart an online entrepreneur career whether as a publisher or seller of products & services.